Dr. Scouros, her associates and staff provide specialized diagnostic and treatment capabilities for patients with many different types of cancer. At the Houston Cancer Institute, PA, developing a treatment plan for each patient is a highly individualized and personal process. Depending on multiple factors, including the type of tumor, its stage, location, size, and the overall condition of the patient’s health, a plan is developed that utilizes one or more of the treatment modalities alone or in combination. The physicians and staff at the Houston Cancer Institute, PA, may also work with other physicians and specialists to develop the optimal plan for each patient. A modern state-of-the-art infusion suite, located at our main campus, provides a comfortable environment for patients requiring comprehensive chemotherapy, biologic therapies, hydration, angiogenesis and targeted therapies. 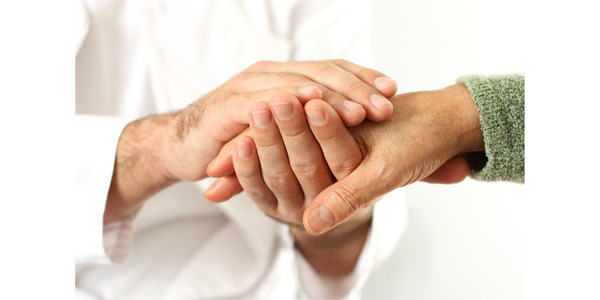 Family members and caregivers are welcome to accompany the patient during these services. Selected services are also available at our satellite locations for the convenience of our patients. At this time, the Houston Cancer Institute, PA, offers tests that check the blood for the risk of developing selected inherited cancers. These tests can analyze the genes for mutations that if present can increase an individual’s risk to develop cancer. If an individual has already been diagnosed with cancer, the genetic testing can still help to identify the risk of developing a second cancer as well as informing close family members of their potential risks of inheriting these mutations. It is well established that catching a cancer early can improve the prognosis for the patient and in some cases can result in a cure. This is especially true in solid tumors, such as breast, colon, prostate and most recent new data supports this concept in lung cancer also. The Houston Cancer Institute is committed to early detection and screening when appropriate for the patient. For an in depth personalized assessment about screening and early detection, patients can request a special individualized consultation to discuss their risk factors and undergo a full examination and undergo any screening proceedures which may be appropriate for them or their family members. Certain conditions require the performance of phlebotomy, the removal of blood for therapeutic purposes. These services are performed in the office by trained personnel in a comfortable and supportive environment. Our new state-of-the-art diagnostic imaging center provides routine radiology, ultrasound, nuclear medicine and CAT scan capabilities in a modern and comfortable environment. PET/CT scans are also available for patients who may benefit from this test for staging purposes and for following the response to therapy. The Diagnostic Center is also certified by the American College of Radiologists (ACR) for Cat Scan radiology, Nuclear Medicine, and PET Scan diagnostic services. The PET/CT (Positron Emission Tomography/Computed Tomography) scan creates an image of how the body is functioning and an image of the body’s anatomy. Together, they provide the most accurate test for many types of cancer and related conditions and help guide treatment. Our Diagnostic and PET/CT Center is fully licensed by the State of Texas and has board certified radiologists who are dedicated to providing quality services. Read more about our radiology team by clicking here. HCI might be able to offer you the opportunity to participate in a new treatment that might help in better controlling or destroying your cancer. Although new treatments are being studied in clinical trials at HCI, you are not obligated to participate. However, information about ongoing clinical trials at the Houston Cancer Institute, PA, is available upon request. Your physician will be happy to discuss your options. Patients diagnosed with cancer, as well as their families, often require psychological counseling and support, as well as other support services to help them manage their care. The Houston Cancer Institute, PA, works with each patient and family to identify the appropriate support and community resources for their needs. In addition, HCI holds monthly support groups for patients and their families, coordinated by Dr. George Vroulis. To attend a session, call our main number at 713.464.9559. The Houston Cancer Institute also provides dietary and nutritional counseling for patients and their families.